It was during an impromptu meeting on Alpe D’Huez, where both Michael and Will (Mawby) realised they had much in common besides a love of cycling. Michael was working on his Mountains project and was looking to frame some of the work for various exhibitions. As it happened Will managed a family framing business, A.Bliss, which specialised in supplying galleries and artists, and so the partnership began. Alongside the film exploring the framing process, we spoke to Will to dig a little deeper into the company and his view on the work. A.Bliss is a family run business, now in its fourth generation. The business itself dates back to the 1800s so there’s a long pedigree here. Our story started when my great granddad bought the company after the 1st World War as a map and plan colouring business – we’ve retained some of the original brushes, they are on show in our workshop along with some other historic items. My dad then moved more into the fine art field with a focus on dry mounting, which is what we have become known for today. Our work has developed with new technologies and processes over the years, especially in conservation and aluminium mounting which is now the most popular choice when displaying artwork without picture frames. 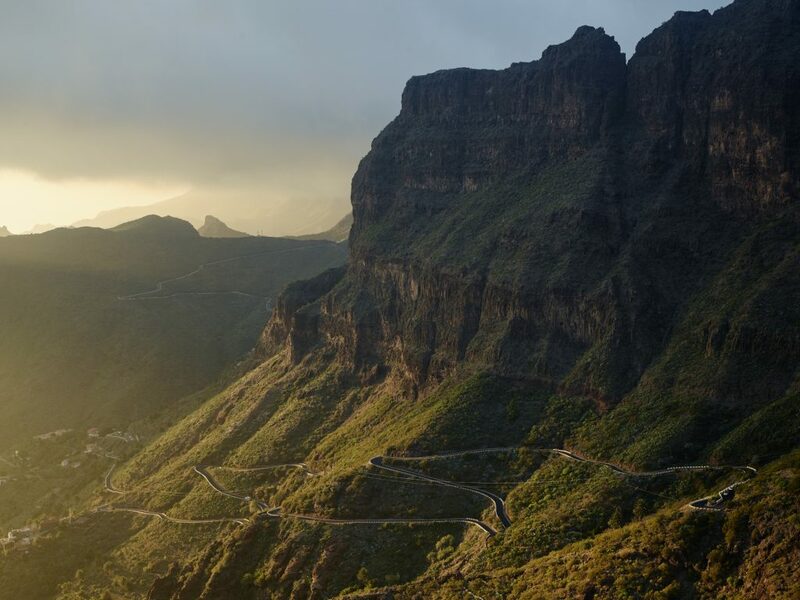 What is the process when mounting the Mountain prints? Michael’s frames are top spec, gallery standard. 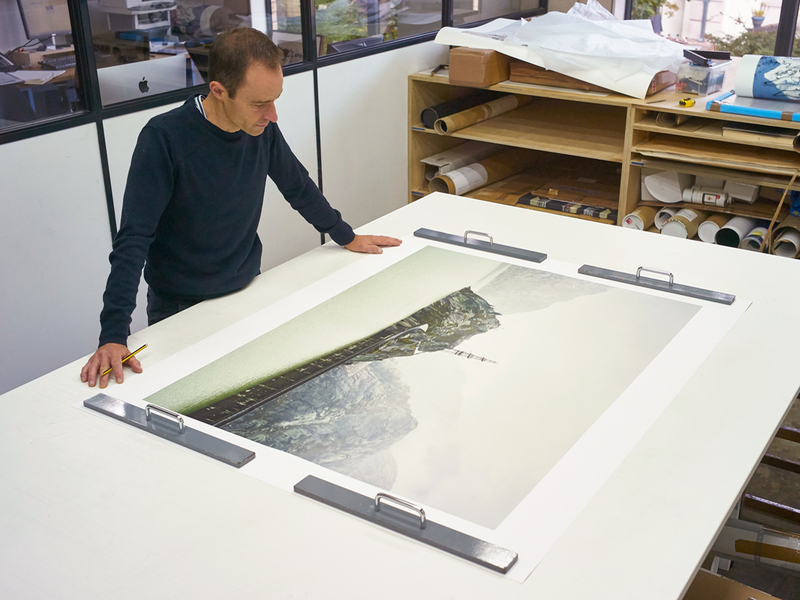 The prints are dry mounted on Kapamount which keeps them very rigid but lightweight. The beech frames are cut and assembled in the studio before being sent off to be spray painted. This gives them a very smooth finish eliminating any visible joints at the corners, allowing you to concentrate on the image alone. The final assembly takes place back in the studio and we prefer to use a baton system for wall mounting which gives added strength and rigidity (important on very large frames) and also has the added benefit of keeping the frame completely flush to the wall. What do you think makes the prints special? It’s simply the detail. People walk up to them and want to inspect every minute aspect of the image. We have two prints up in the office and whenever people walk past they always stop to look and find their own details to explore. 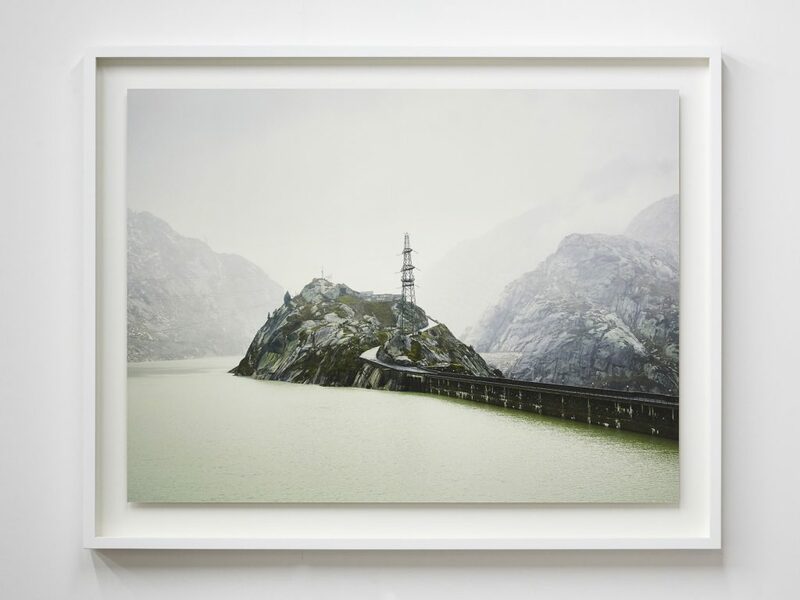 My favourite print would be the Grimsel Pass – it’s that dream-like quality and the tone really stands out. It’s very different to the other work. We’ve got this one and also the Gotthard Pass here. We work all over really, with international public, private galleries and photographic galleries in London. We also offer our mounting services to fine art framers, or just individual and small-scale picture framers too. We often do a lot of bespoke work for artists as well – we can pretty much do anything if you bring it to us. Find out more about A.Bliss and their work on the company website.